Contrast sensitivity depends in part on small eye movements that we’re not even aware of making, report researchers. Researchers previously believed that the optics of the eye and processing in the brain mainly dictated contrast sensitivity function—the minimum level of black and white that a person needs to detect a pattern. The new research shows that eye movement is another factor at play. When we fix our eyes on a single point, the world may appear stable, but at the microscopic level, our eyes are constantly jittering. These small eye movements, once thought to be inconsequential, are critical to the visual system in helping us reconstruct a scene, Rucci says. “Some scientists believed that because they are so small, the eye movements might not have much impact, but compared to the size of the photoreceptors on the retina, they are huge, and they are changing the input on the retina,” she says. Researchers have long known that the tiny eye movements—always jittering and taking in different points—continually change the signal to the retina and refresh the image so it does not fade. The new research suggests, however, that these movements do more than prevent fading; they are one of the very mechanisms by which the visual system functions, Rucci says. The system is similar to that involved in the sense of touch: to glean information about the surface of a solid object, we don’t simply place our fingertips on the surface, but also move them along the object. We perceive the object based on the interaction between a sensory process (the tactile receptors in our fingers) and a motor process (the way we move our fingertips). 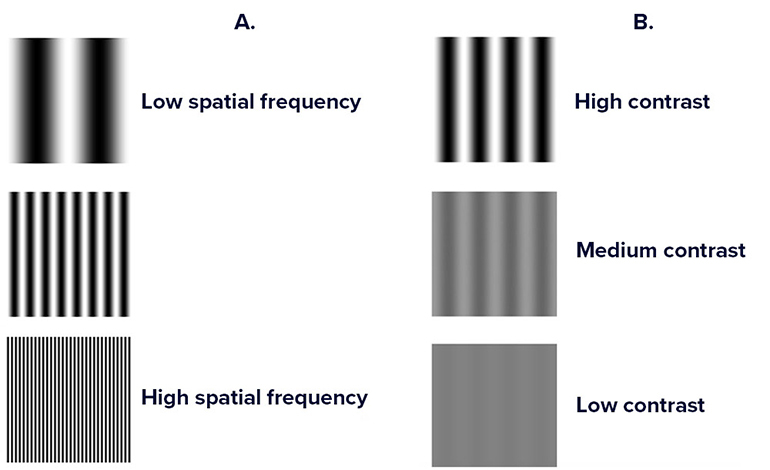 In order to measure contrast sensitivity and whether or not eye movements play a role, the researchers showed human participants gratings with black and white stripes. The researchers gradually varied the width of the stripes, making them “thinner and thinner, until the participants eventually said they no longer saw separate bars,” Rucci says. 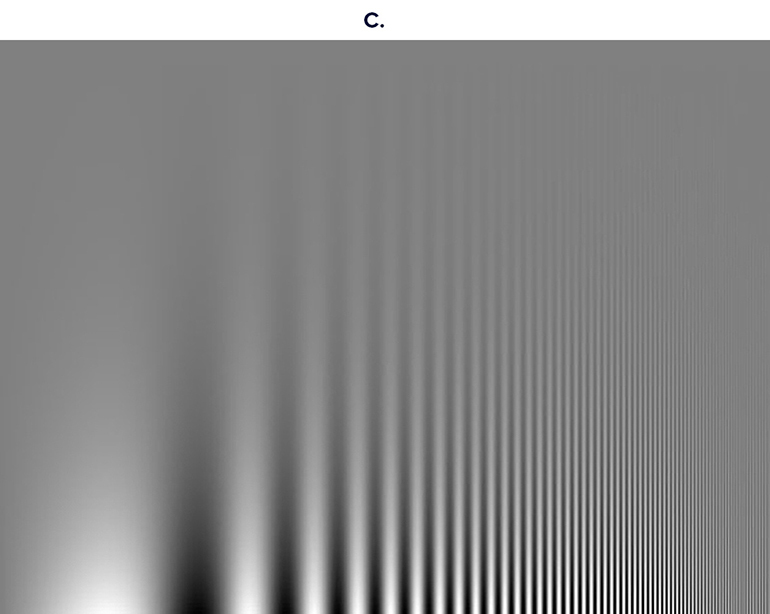 The width of the bars is known as the spatial frequency. For each spatial frequency, researchers measured the minimum level of black and white that participants needed to be able to see a contrast, while, at the same time, carefully measuring their eye movements. The researchers then simulated this task in a computer model of the retina to see if the responses of neurons in the retina matched the human subjects’ contrast sensitivity. Knowing that eye movements affect contrast sensitivity, researchers can input this factor into models of human vision, providing more accuracy in understanding exactly how the visual system processes information—and what can go wrong when the visual system fails. The research also highlights that movement and motor behavior may be more fundamental to vision than previously thought, Rucci says. The study appears in the journal eLife.